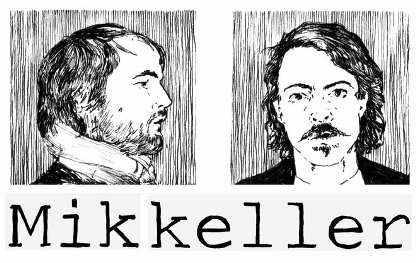 Now that we will begin to carry Mikkeller beers again, I can now freely rip pounds of flesh from his brewing bravado. I was never going to do that when we didn't stock his products. Even I, don't hand out free publicity like that. For Someone like me, Mikkeler is somewhat of a polarising figure. I love some of his beers. And, I hate some of his beers. OK, Hate is such a strong word. I Dislike. Mikkeller is the ultimate definition of what I call. 'David Beckham Syndrome' (CUE : Some lengthy anecdotal episode from my childhood). As mentioned many times previously on this blog/website/personal soap box/personal rant mechanism. I have Italian heritage, which is accompanied by many pleasures, curses, mental deficiencies, so on and so forth. One is obviously Football (Soccer for some). I do still love football, maybe not as much as I did when I was a tot. And I assume that now it's 50/50 love and resentment. That some of those little bastards are my age running around and earring 300K or more a week, for kicking a ball. Fairly decent player when I was young too. And I can still spot players who are the real deal, always have been able to. Messi? Saw it coming a mile off. Drogba? Gerrard? Would give my right kidney for either in my team. Modric? Solid, no nonsense player. Zidane? Still the greatest behind Maradonna and Pele. So, nothing infuriated me more, when twats that didn't know anything about football would mention David Beckham in the same breath as Zidane, Kaka, Ronaldo (not Christian, the original one) Del Piero and any others that were quality. All because he sold undies, pepsi, made the 5 o'clock news on channel ten and had a quality passing game. It got to a stage that I started to hate David Beckham not because I disliked him (of which when I saw interviews with him, he always seemed relatively down to earth and realistic), but purely for the sake that he represented annoying people that loved him because he was bonking a spice girl, or had his own after shave. The parallels to Mikkeller are inevitable (this would also apply to Epic, 8 Wired and possibly Sierra Nevada). That these brands are solid and do produce good brews, however also produce loyalty from prats who nothing about the subject of beer. When, out of the 64,894 beers that you make, get it right. It's other worldly good. Nelson Sauvignon, Black, Weinbramd Red Ale, Fresler, 1000 IBU, Big Worst 17.5% and ther are plenty others. However when you truly lack any imagination, take a classic beer style add mountains of American hops and make it 20% ABV, it gets a little tired and makes everything that you attempts not really the sum of it's parts. you can't make every beer style and then turn it into an US IPA. It's rubbish and totally underwhelming. I'm not even going to mention the hipsters that like you because your "like from Sweden and all his labels look sooo post modern and edgy". 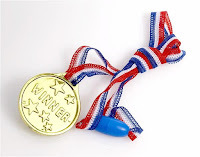 So, for you Mikkel, you are a winner. Just like your predecessor Luke, I know you will wear your J A I P A award with pride and as a gleaming badge of honor. And despite the gripe, I am happy to have you back. P.S : Look out for Riccardo Montolivo, plays for Fiorentina in Italy and is quality with a capital Q & U.